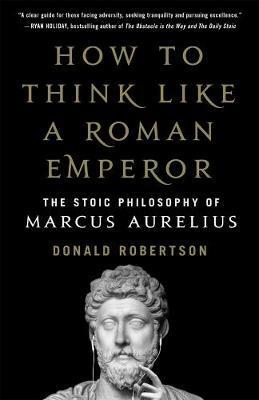 How to Think Like a Roman Emperor takes readers on a transformative journey along with Marcus, following his progress from a young noble at the court of Hadrian--taken under the wing of some of the finest philosophers of his day--through to his reign as emperor of Rome at the height of its power. Robertson shows how Marcus used philosophical doctrines and therapeutic practices to build emotional resilience and endure tremendous adversity, and guides readers through applying the same methods to their own lives. Combining remarkable stories from Marcus's life with insights from modern psychology and the enduring wisdom of his philosophy, How to Think Like a Roman Emperor puts a human face on Stoicism and offers a timeless and essential guide to handling the ethical and psychological challenges we face today.